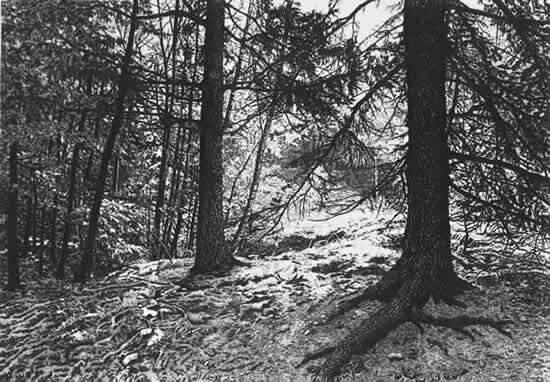 "My work begins outdoors as I search for a location that strikes an emotional response in me. I may find it nearby in a place I see often or far away at the end of a journey." 2001-1999 "Illinois Women Artists: The New Millennium", National Museum of Women in the Arts, Washington, D.C.